Follow the installation rules that apply to each system. Take additional steps to assure that there is proper grounding between AC and DC. ABYC A-20 provides guidelines for installing battery charging devices. ABYC A-25 provides guidelines for installing power inverters. To properly install an inverter or charger, follow requirements listed in E-11 and A-20 or A-25. A-20 and A-25 contain specific installation directions that are not described in E-11. 2. Install the AC wiring to the charger or inverter including an AC grounding conductor of a size equal to the current carrying conductors unless the circuit exceeds 30A, in which case the grounding conductor may be one size smaller (E11.16.1.3.8.2). This is the typical grounding conductor that you would see with any AC appliance and returns with the other AC conductors to the power distribution panel. 3. Install a DC grounding conductor sized not less than one size smaller than the DC positive conductor and have a capacity such that the DC positive fuse has an amperage rating not greater than 135% of the current rating of this grounding wire. As a practical matter, this wire will be much larger than the AC grounding conductor. This requirement is the latest addition to the standards when it was discovered that faults in the DC side of an inverter or charger could provide sustained high currents that could start a fire from overheating the AC grounding conductor. The rules for grounding electrical systems have evolved over time. 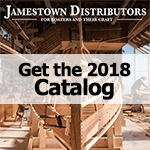 Boat builders, installers, and electricians continue to recognize hazards and increase safety measures. Battery chargers were originally treated like any other small appliance, first without having any safety ground as was common through the 1950's, and then by adding a safety ground to reduce shock hazards during faults. It was found that faults in the DC wiring or the DC side of chargers could generate fires because high current could flow back from the batteries, so a fuse was added between inverters or chargers and the battery system. As the capacity of chargers increased, and with the introduction of inverters, these DC fuses became quite large. It was then determined that a fire hazard exists when a DC fault in a charger or inverter can pass DC current into the AC safety ground wire. The AC safety ground was not sized for the high DC currents, so a high capacity DC grounding wire is now required by standards A-20 and A-25. Now three critical grounding wires for these systems have been identified. This may seem excessive, but this combination of grounding conductors has been shown to give protection against a wide variety of faults.